When public health authorities choose to scare us by hyping the dangers of infectious disease, like whooping cough (pertussis), the least we can expect is that they have gotten their scientific facts straight. The Keystone Cops act is not very reassuring: "Whoa, look at this big outbreak! Whoa, it wasn't really pertussis!". For the last several years, public health officials have been beating the drums, warning us that whooping cough is on the rise despite a more than 95 percent uptake of pertussis (whooping cough) vaccine by all children entering kindergarten, who are required by most states to have 3-5 doses of DTaP (diphtheria- tetanus-acellular pertussis) vaccine before they can attend school. The CDC's solution has been to recommend yet another dose of pertussis vaccine via a booster Tdap shot for all 11-12 year old children. New York and other state health officials are in the process of persuading politicians to add Tdap to state mandatory vaccination laws. That "more is better" solution, say federal health officials, will finally stamp out whooping cough. But now, we find out that many of the whooping cough cases reported in the "outbreaks" around the country, such as in New Hampshire, Massachusetts and Tennessee, were bogus cases because some "speedy" lab tests to confirm whooping cough give a false positive the majority of the time. So the reported tripling of whooping cough cases in the past five years may be a total fabrication and the push for children to get another booster dose of Tdap at 11-12 years old may not make any difference at all. There are other infectious organisms, such as parapertussis, which cause respiratory disease that can mimic whooping cough and they are not covered in the Tdap vaccine. Lab diagnosis is critical to accurately confirming and treating whooping cough and it is unfortunate that it has taken so long to uncover the ineffectiveness of the lab test used to confirm many suspected whooping cough cases today. But more importantly, the rush by federal health officials to add yet another booster dose of vaccine without carefully investigating why whooping cough is apparently occurring in a highly vaccinated child population does not inspire confidence in the evidence with which the CDC supports vaccine recommendations. Assumptions are a poor replacement for scientific evidence. Equally concerning is the lack of scientific evidence supporting the safety of giving children entering puberty multiple vaccines, such as Tdap, meningococcal, HPV and chicken pox vaccine and others without long term studies evaluating the impact of pre-adolescent vaccination on brain and immune function. Today, the CDC recommends that, by age 11, children should have received 53-56 doses of 15 or 16 vaccines depending upon if the child is a boy or girl. Where are the safety studies that demonstrate this much vaccination leads to greater long term good health? America's highly vaccinated children are in the midst of a chronic disease and disability epidemic, with millions of them suffering with learning disabilities, ADHD, autism, asthma, diabetes, inflammatory bowel disorder, severe food allergies and other kinds of brain and immune dysfunction that affected far fewer children in the past when far fewer vaccines were given to them. The last thing our sick children need now is one more vaccine. Doctors of Scientism: "No Cure for Autism"
"There is no cure for autism" says pediatric psychologist James Mulick at a recent American Psychological Association (APA) conference where his Ohio State University grad students criticized parents of autistic children, who maintain their children's autism involves neuroimmune dysfunction that is treatable with nutrition and immune modulating therapies. It appears that some psychologists are afraid they will lose a good chunk of their business if they can't keep autistic children in chemical and behavior modification chains and out of the offices of enlightened health care professionals successfully treating autism another way. Mulick is a proponent of the old and very expensive, long term Early Intensive Behavioral Intervention (EIBI) therapy performed by child psychologists on mentally retarded and autistic individuals, many times with simultaneous use of prescription drugs. Although this kind of intervention may work for some autistic children and parents, it is by no means the be-all and end-all of treatment for children who have experienced regressive autism. How sad that doctors in teaching positions at major universities, such as Ohio State University, are instructing their young students to belittle parents, who search for non-toxic nutrition and supplement therapies to lessen their children's brain and immune system dysfunction. These Bettleheim wanna-bes cannot resist setting themselves up as high priests in the new Church of Scientism, where they preach a dogma that requires the promotion of pharmaceutical products and medical interventions sanctioned by the church they have created. The high priests of Scientism feel threatened when they cannot convert those who refuse to believe and obey. Thus, the demonization of the unbelievers and a search for appropriate punishment begins. In this case, perhaps the idea that parents, who provide their autistic children with gluten and casein free food, should be legally prosecuted for "child medical abuse." This would allow the children to be made wards of the State so that doctors employed by the State could force them to drink cow's milk instead of soy milk, eat white bread instead of rice, take Ritalin instead of vitamin B and be subjected to extreme "behavior modification" techniques that would make a Marine beg for mercy. Our grandmothers may have given us an apple and a spoonful of cod liver oil every day to keep the doctor away, but the high priests of Scientism are going to make sure that vitamin and omega 3 supplements are branded "dangerous" so they can keep conning politicians into legally requiring babies to be injected with mercury and aluminum while convincing themselves that a little Prozac never hurt a toddler. What really makes the Scientism devotees angry is that autism is not about bad mothering, as the late, great Bernie Rimland, Ph.D. demonstrated. It is not about "bad genes" as the parent bashing pediatric psychologists tell their students at Ohio State University. No, autism is mostly about loving parents allowing their perfectly normal, healthy babies to be subjected to 48 doses of 14 viral and bacterial vaccines at the hands of clueless pediatricians and then watching in horror as their babies regress into a spectrum of chronic brain and immune system dysfunction that finally ends with a diagnosis of "autism." And when enlightened health care professionals, who refuse to subscribe to the "incurable autism" myth, work with parents to provide healing nutritional and other natural therapies that lessen or sometimes totally eliminate the children's vaccine-induced brain and immune system dysfunction, the apostles of Scientism are both jealous and worried they will lose paying customers. Too many doctors of medicine have made a Faustian bargain with the pharmaceutical industry. And slowly, the people are figuring out that medical science has been hijacked by ideologues, who pretend to love "scientific truth" but love power and money more. Abraham Lincoln said "You can fool some of the people all of the time, and all of the people some of the time, but you can not fool all of the people all of the time." It is time to take back our lives from drug and vaccine pushing doctors who worship at the alter of Scientism and exploit the people for power and profit. Washington, August 15, 2007 – The National Vaccine Information Center (NVIC) today issued a new report on HPV vaccine (Gardasil®) safety analyzing adverse event reports to the federal Vaccine Adverse Event Reporting System (VAERS). The analysis gives evidence for a reported association in VAERS between Gardasil and Guillain-Barre Syndrome (GBS), with a statistically significant increased risk of GBS and other serious adverse event reports when Gardasil is co-administered with other vaccines, especially meningococcal vaccine (Menactra®). NVIC is calling on the Centers for Disease Control (CDC) to issue an Advisory and amend its March 12 policy by alerting the public that Gardasil has been associated with 15 cases of GBS and an increased risk of GBS and other serious adverse event reports made to VAERS when the vaccine is administered simultaneously with Menactra and other vaccines. “The precautionary principle dictates that good science should precede CDC vaccine policy recommendations,” said Barbara Loe Fisher, NVIC co-founder and president. “Parents have a right to expect proof of safety and not assumption of safety before new vaccines, like Gardasil, are given simultaneously with other vaccines to their children. NVIC found that, as of May 31, there have been 2,227 Gardasil adverse events filed with VAERS, including 13 suspected or confirmed cases of GBS (two more GBS reports were made in June for a total of 15) and 239 cases of syncope (fainting with temporary loss of consciousness), many of which resulted in head injuries and fractures. Seven deaths have been reported after receipt of Gardasil. Nearly 10 percent of all Gardasil adverse event reports to VAERS involved avoidable medical errors. *GBS reports increased by 1,130 percent. Nineteen Gardasil adverse event reports from 12 states have been made to NVIC’s Vaccine Reaction Registry involving unconsciousness and injury, convulsions, numbness, weakness and other neuromuscular and coordination problems and GBS. Shannon Nelson, 18, a Chicago area athlete, musician and artist entering college reported to NVIC that she received HPV vaccine (Gardasil), meningococcal vaccine (Menactra) and chicken pox vaccine (Varivax ®) simultaneously on June 21. Symptoms of tingling, numbness and muscle weakness began within a week and progressively got worse. By July 3 she could barely walk or raise her arms. She was hospitalized, paralyzed with GBS on July 5, and spent 22 days in the hospital. 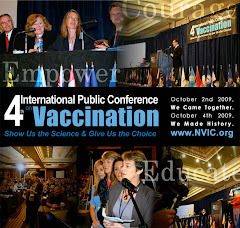 Founded in 1982, the National Vaccine Information Center (NVIC) is a non-profit 501(C)3 organization working for child health, public education and consumer empowerment. NVIC is dedicated to preventing vaccine injuries and deaths through public education and defending the right to informed consent to vaccination. NVIC has operated a private Vaccine Reaction Registry for 25 years. 1) Vaccine Safety Group Releases Gardasil Report: Calls on FDA and CDC to Warn Doctors and Parents to Report to VAERS, February 21, 2007 http://www.nvic.org/Diseases/HPV/pr022107HPV.htm. It is encouraging that autism researchers at the University of California - Davis, as well as researchers in academia and government are focusing research initiatives on the complex relationship between genetic and environmental trigger co-factors in the development of autism. Understanding all potential causes of the growing chronic disease and disability epidemic among children, which includes millions of children suffering from regressive autism and other developmental delays, deserves to be made a high priority in biomedical research. Although it is becoming clearer that bolus and cumulative mercury exposures via mercury preservatives in vaccines are not the sole cause for increases in cases of autism during the past quarter century, the hypothesis that mercury preservatives in vaccines have harmed the brains and immune systems of many children should not be dismissed. Mercury is a neuro-toxin and does not belong in any form in any product consumed by humans, much less directly injected into humans. Biological mechanism research on animals has already confirmed that thimerosal can be toxic and research should continue into the potential synergistic effect of repeatedly injecting even trace amounts of thimerosal along with other components, such as aluminum, into infants and children via vaccines. Science is a dynamic search for truth and evolves with each new discovery over time. The search for the truth about all causes for vaccine injury and death cannot be left in the hands of epidemiologists. That search also properly belongs in the hands of basic science researchers examining the biological effects on brain and immune function of atypically manipulating the immature human immune system by injecting multiple vaccines during the first years of life, when the brain and immune system are developing at their most rapid rate outside the womb. The UC-Davis study certainly cannot fail to include evaluation of the biological effects of the most frequent atypical environmental exposure most children of the 21st century are subjected to in early life: repeated injection of lab altered live viruses and killed bacteria via vaccines that also contain quite a few potentially toxic ingredients. Parents will be closely watching the way the UC- Davis study is conducted and will eagerly await the results of this important investigation into the potential environmental and genetic co-factors involved in the development of autism. Any new information which will help shine a light on ways to prevent and develop healing therapies for autism is a step in the right direction. CBN Report Asks: "Are Vaccinations Safe for Your Kids?" "My 3-and-a-half-year-old brother, Enoch, was born a healthy and normal baby. He developed as he should have, crawling faster than we could run, cruising down halls and around rooms and taking a few independent steps by his first birthday. He was always into mischief and fairly burst with energy. But at 15 months, Enoch was given his DPT (diphtheria, whole cell pertussis and tetanus) vaccine. He became lethargic and unresponsive to his family. No longer was he attempting to walk....Enoch continued to get worse, shrieking out a high-pitched scream instead of crying normally as he once had. He was limp as a newborn and my parents felt as if they were losing him....Enoch's pediatricians were busy concentrating on getting his eczema under control and wasted no concern at all over his lethargic behavior and failure to walk. "He's just lazy," they told my parents, "because he's got older siblings to carry him around." Mom strongly disagreed...... Enoch saw six other doctors at Johns Hopkins, including another child developmental specialist, a pediatric neurologist, two different pediatric opthalmologists and two pediatric genetics specialists....After running many tests and getting no answers, the neurologist marked down that Enoch had been damaged by his vaccinations. The specialist we had originally contacted agreed. My parents were told that Enoch's recovering his abilities was dependent on his willpower and God. Enoch is not alone in reacting to his immunizations. Many other children have suffered adverse side effects, including deafness, brain damage, autism, seizures, bronchial spasms and death, from various vaccines. The National Vaccine Information Center has been working to prevent vaccine injuries and deaths through public education for the past 25 years. The best way for a parent to become educated about vaccination and how to prevent their child from being harmed by vaccines is to become an educated health care consumer. http://www.cbnnews.com. The report will be broadcast again at 11 p.m. EST on the CBN and ABC Family channel. This morning, after the report aired at 10 a.m. EST, "700 Club" host, Dr. Pat Robertston, and his co-host expressed their concern about the vaccine safety issue. If you choose to vaccinate your child according to the government's recommended schedule, if you plan to selectively choose which vaccines your child will receive, or have decided not vaccinate, it is important to understand the risks and complications of diseases and vaccines. Knowledge is power. 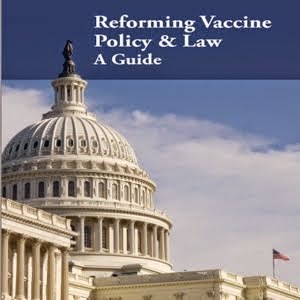 Go to www.nvic.org and learn more about vaccines and your state vaccine laws.